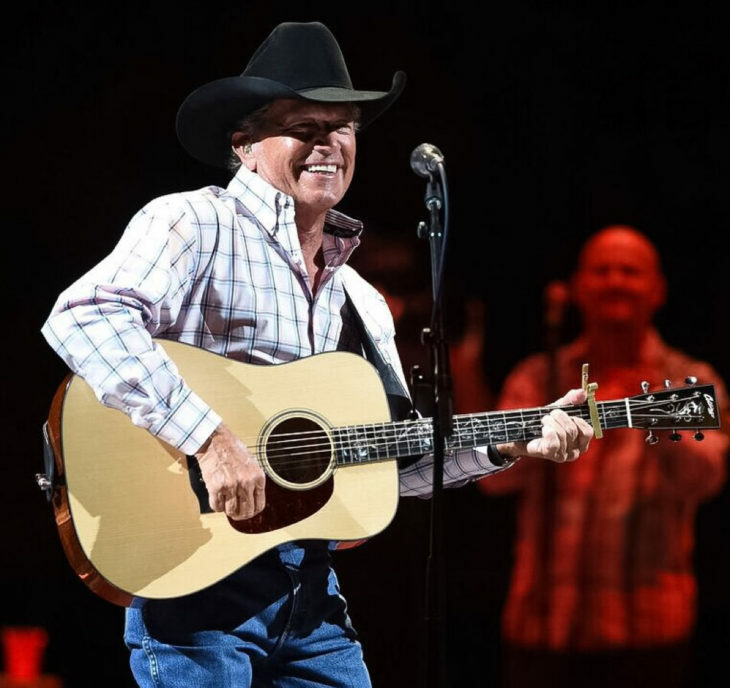 On a balmy Friday night in Las Vegas, the heat only added to the excitement as George Strait packed the new T-Mobile Arena and captivated a record-setting 19,222 fans during the opening night of his Strait to Vegas exclusive concert series. “I’ve missed you guys and I’m looking forward to being here a few more nights this year,” Strait told the crowd early on in the night before performing for over two hours. In addition to playing a selection of his illustrious 60 career No. 1’s including “Give It All We’ve Got Tonight,” “Ocean Front Property,” “All My Ex’s Live in Texas” and more, Strait also took a moment to pay tribute to Merle Haggard who was not only an icon for Strait but also a friend. “We’ll never get to hear Merle play live again, but his music will live on forever,” Strait said before performing a medley consisting of “Mama Tried,” “Fightin’ Side of Me,” and “My Life’s Been Grand,” with Strait pausing at the end in remembrance.